Look at that tooth! So cute!!! Thomas has been teething since he turned 2 months old! Eek. That means that he has never actually slept through the night. He wakes about 4 times a night. Once at 9.30pm for his last feed and then about 3 more times through the night, more if his teeth are really playing up. So Dave and I have had pretty much no sleep for 6 months. However, now the weather is cheering up, it's not really so awful. I always find that getting out in the sun first thing and a strong coffee helps to start the day off on the right foot, no matter how much I've been up the night before. Thomas has one full tooth through and 3 breaking through at the same time! It seems to have escalated pretty rapidly over the last week or so. It's so crazy that he is already 6 months and getting teeth. The second baby just seems to grow up even faster than the first! Talking of the first, Alice is now pretty much potty trained, talking non stop and starting nursery in a few months. What!? When did she get so grown up all of a sudden! I have to say, I was a b emotional at her third birthday party. I just can't believe it's been 3 years since I had her. 3 just seems so big to me! This will be the last year (or half a year) that I have both children at home with me full time. As from September, Alice will be in nursery and Thomas will be in some sort of childcare. 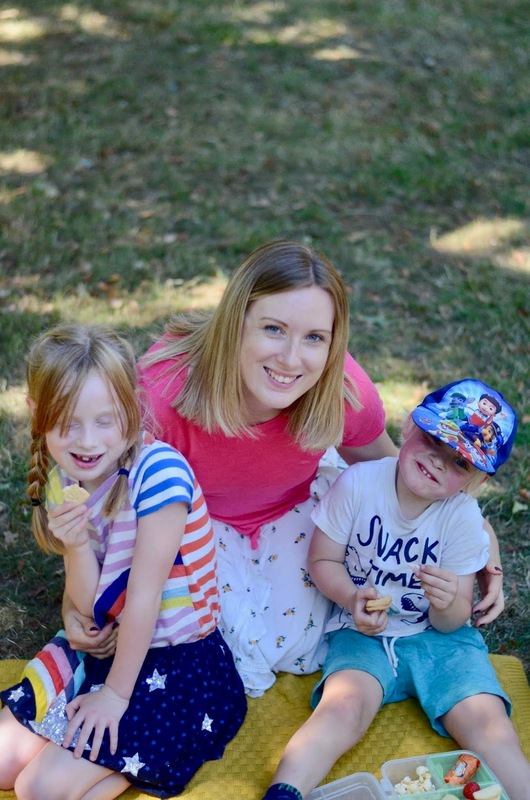 My time as a full time stay at home mum is coming to an end. It's both for financial reasons (house prices in London are mental, even on Dave's wage we can't get a mortgage for over 300k, which wont buy us much!) and because I think it's the right time to get back into my career. Anyway. Everything here has been pretty quiet recently, hence the lack of posting. We are just sort of living and getting through the first year with Thomas. And to those who miss my YouTube videos, I do apologise. Life is just... hectic with two little ones. And I am considering starting to tone down my online presence. Blogging and YouTubbing is fun, but it's a journey that I wont be doing forever. This may very well be the last year for this too!